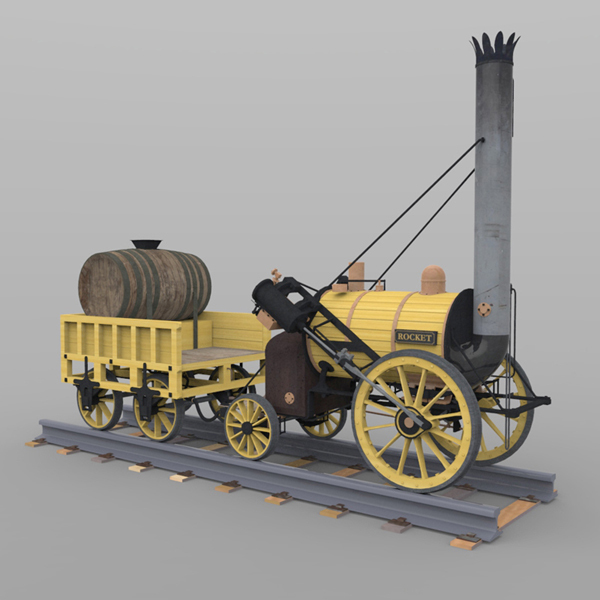 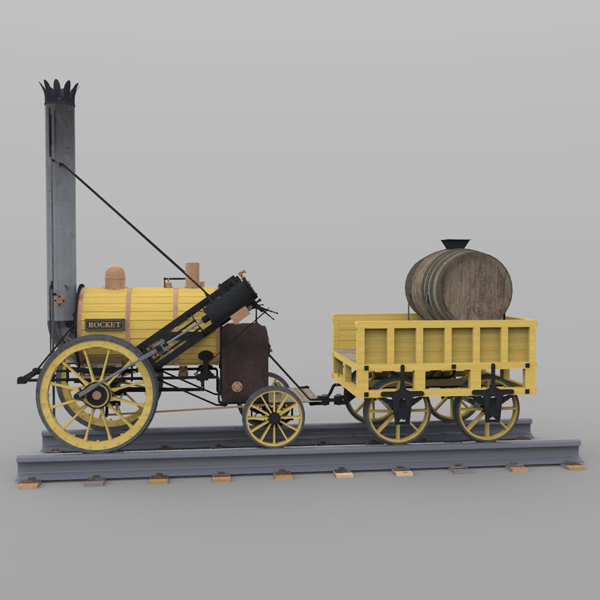 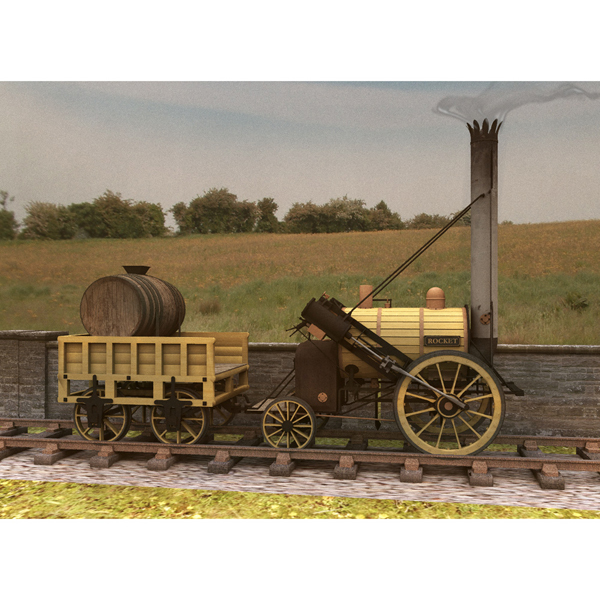 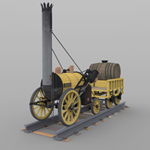 Stephenson`s Rocket was an early steam locomotive of 0-2-2 wheel arrangement, built in 1829 at the Forth Street Works of Robert Stephenson and Company in Newcastle Upon Tyne. 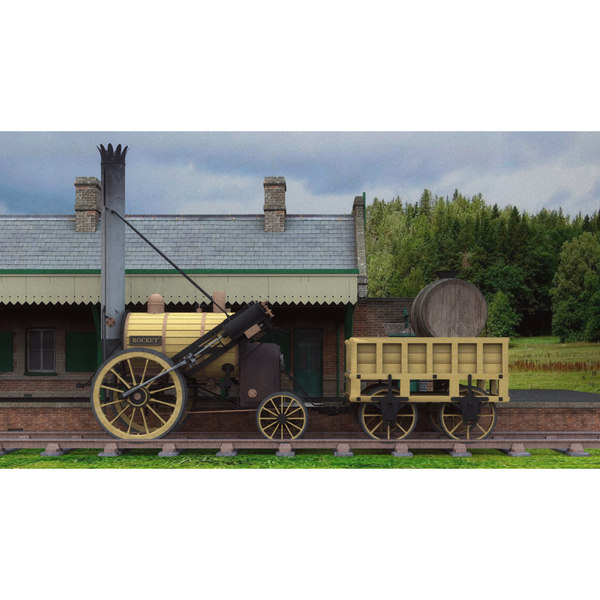 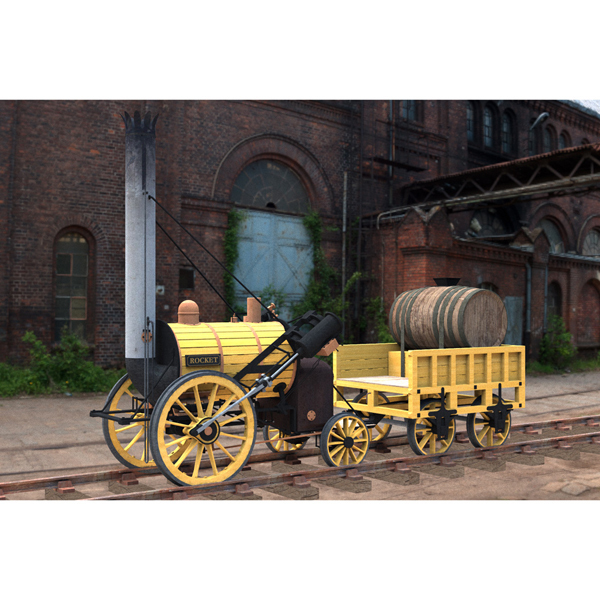 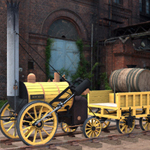 Though the Rocket was not the first steam locomotive, it was the first to bring together several innovations to produce the most advanced locomotive of its day. 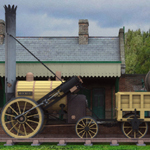 The locomotive had a tall smokestack chimney at the front, a cylindrical boiler in the middle, and a separate firebox at the rear. 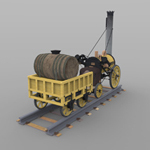 The large front pair of wooden wheels was driven by two external cylinders set at an angle. 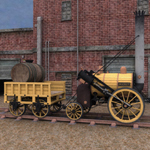 The smaller rear wheels were not coupled to the driving wheels, giving an 0-2-2 wheel arrangement. 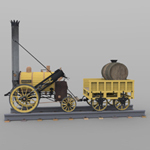 It is now presented in the science museum in London. 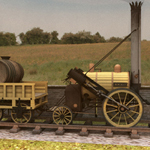 Includes two train cars in one model: front engine and rear tender. 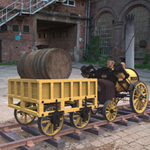 All wheels can rotate around (with an ERC dial on the BODY). 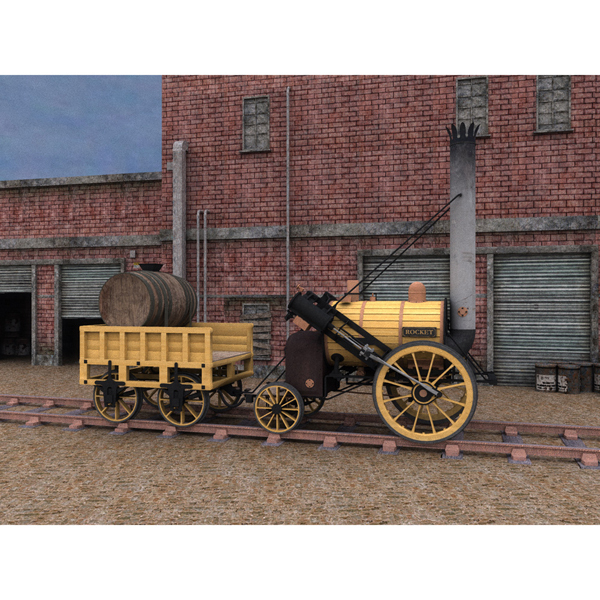 Accurately moving arm mechanisms: all of the arms move as the wheels turn. 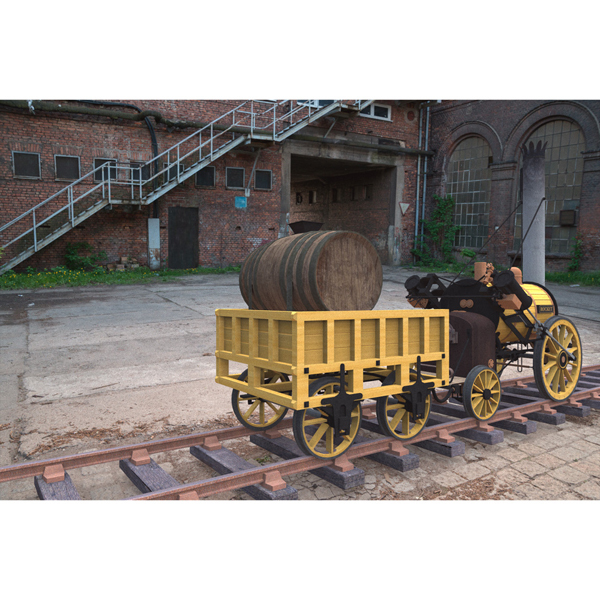 All mechanisms are linked with ERC dials and will move automatically as you turn the wheels. 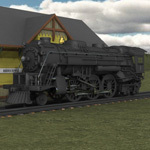 Scaled to the same size of the other Vanishing Point trains (and rail sections) for Poser. 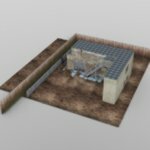 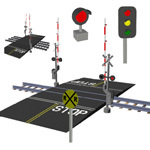 Includes the rail section (as a second model) shown in the "model on gray" images. 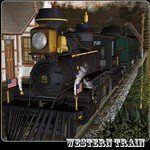 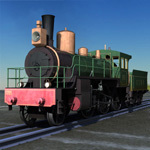 A full set of textures for the train and rails, at 1024x1024 pixels. 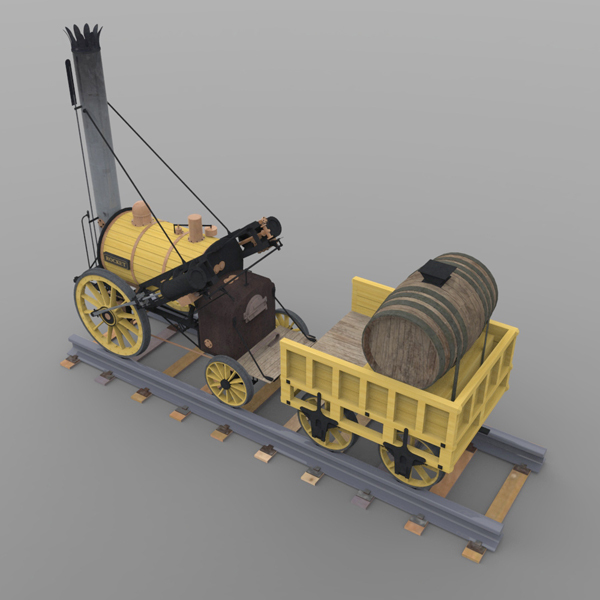 Textures by mrsparky, rigging by JHoagland.